few. 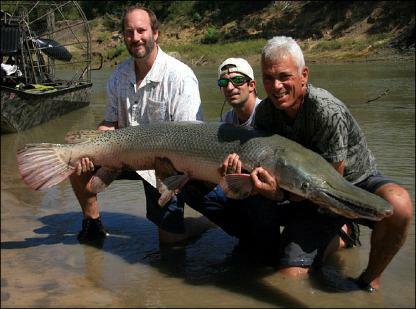 Most famous show was River Monsters where we guided Jeremy Wade after his huge alligator gar. 55+ years experience fishing will pay off for you productively and safely. they have never been. Where we fish ,is in our back yard! 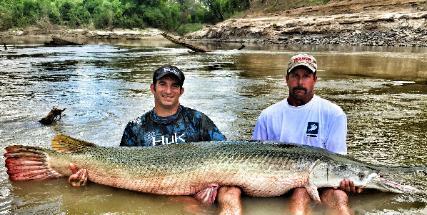 We offer trophy gar fishing with rod and reel ONLY. equipment,and gear,boat, and whatever else in the planing of your trip. a job! 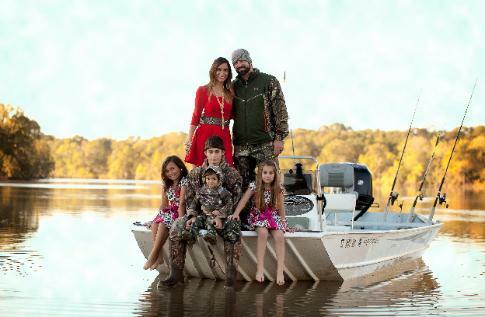 We want to enjoy the trip as much as you do..
boar, alligator, deer, and game run the banks! to go! It is a 2070 and has plenty of room for every one. Geographic, Outdoor Life, Field and stream are just a few.